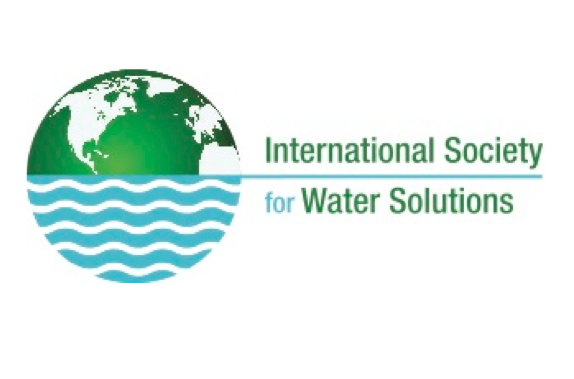 Scroll below to see all content produced by the International Society for Water Solutions (ISWS). ISWS is focused on pressing issues of water access, quality, sustainability, and security. See proceedings from this workshop, which examined the various factors that drive decisions about water use and reuse and to identify technologies and strategies to design efficient, productive and economically feasible water reuse and conservation projects. The International Society for Water Solutions is focused on pressing issues of water access, quality, sustainability, and security. The main goal of the the society is to promote discussion and to determine the role and approaches for AIChE to lead chemical engineers to become recognized thought leaders in the existing water space. Dominic C. Y. Foo, P.E. Water pinch analysis and mathematical programming can be carried out using only a spreadsheet to determine the optimal water system for your plant. Examples, including a shale gas to ethylene process, illustrate the concepts. Among all of engineering’s grand challenges, those related to water resources must be among the most fundamental. The drive toward water sustainability is a major undertaking that chemical engineers have embraced. Researchers have devised a method for creating a polymer from marine microorganisms that completely recycles into organic waste. What’s more, the process itself has a very low environmental impact. Dr. Sellers, who specializes in materials characterization and incident investigation, shares her perspective on where chemical engineering is headed. Editorial: Clean Water: What is it Worth? Researchers from Brazil and the UK are fighting water pollution two ways with a method that reuses polystyrene to filter toxic and carcinogenic waste chemicals from water. Engineers have discovered a catalyst that could prove useful in purifying water polluted with nitrates from agricultural runoff and other sources. Silver nanoparticles from clothing are ending up in waterways, but science is looking for ways to remove them. Water is one of the world’s most abundant resources, covering more than 70% of the Earth’s surface. However, not all of the water is suitable or available for direct use. Researchers at Northeastern University have discovered a way to use carbon nanotubes to desalinate water. A new technology collects the oil in a cellulose matrix and then turns the oil into a rigid gel that can easily be removed from water. Instead of targeting individual microbes, researchers went after the biofilm that protects them and found great success. Engineers at the University of California, Riverside have developed a novel technique to recover nearly all water from brine waste. Electrochemical process can remove low-level contaminants such as chemical waste and pharmaceuticals. This month's CEP Magazine looks at managing a healthy and enjoyable work-life balance, along with features on safely servicing relief devices and on improving production scheduling for increased energy efficiency, among many other topics. This article reviews the unit operations in a wastewater treatment plant, and describes the fundamental biological and chemical principles behind treatment technologies. Can Israel Save California from Its Epic Drought? As California runs low on potable water amidst a severe drought that has led to forest fires and idle farmland, desalination and drip irrigation could help. A water treatment update now allows Shell to use gray water for fracking, saving water in an area of drought. The company's patented system is different from other wave energy devices because it operates completely under water. As we approach ICBE 2017, which begins this weekend in San Diego, we look back at some of the exciting research that figured among 2016's highlights and look forward to the new developments to be unveiled at ICBE 2017. When the Paris climate accord goes into effect in November, the world will have to start living within a tight carbon budget. Environmental scientists have been monitoring Chesapeake Bay's dead zone creep for decades. Most people who live outside California don’t know that a large part of the state was originally a desert, and without water, it will revert back to desert. Can a balding, late-middle-aged researcher who's hawking a still-uncommercialized technology transform America's aging fleet of aerobic waste treatment plants? Tidal power developers say 2016 is shaping up to be the new technology's coming-of-age year, with projects in France, Scotland, and Canada successfully ramping up. This month, tips for including water conservation in your energy-management program, an introduction to mammalian cell culture, pointers for preventing caking of bulk solids, and much more. Although not a traditional career route for chemical engineers, the water industry is a broad field that can offer both challenges and rewards. A new study suggests that Persian Gulf countries will have to endure extreme weather episodes with heat unbearable to humans.